Patented grounded heating element laminated between 4" wide fiberglass-reinforced silicone rubber. Adjustable built-in thermostat, range 50-425° F.
Easy spring-and-hook closure and plug-and-play design. 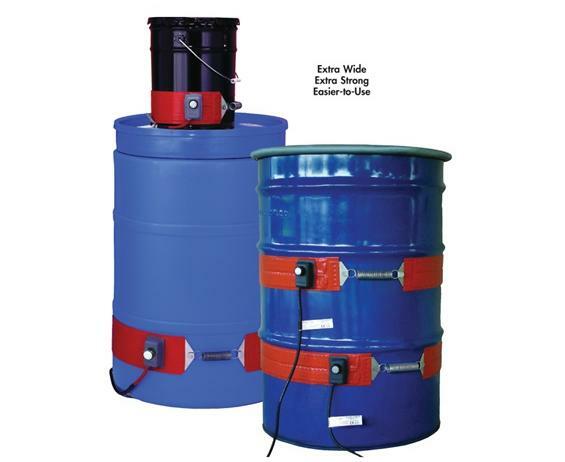 These drum heaters are an excellent solution for a wide range of poly and metal drum applications. 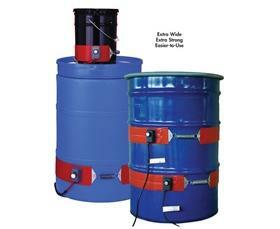 Superb durability and flexibility give heaters an extra long service life. Moisture and chemical resistant. 6-foot power cord. FOB Shipping Point. 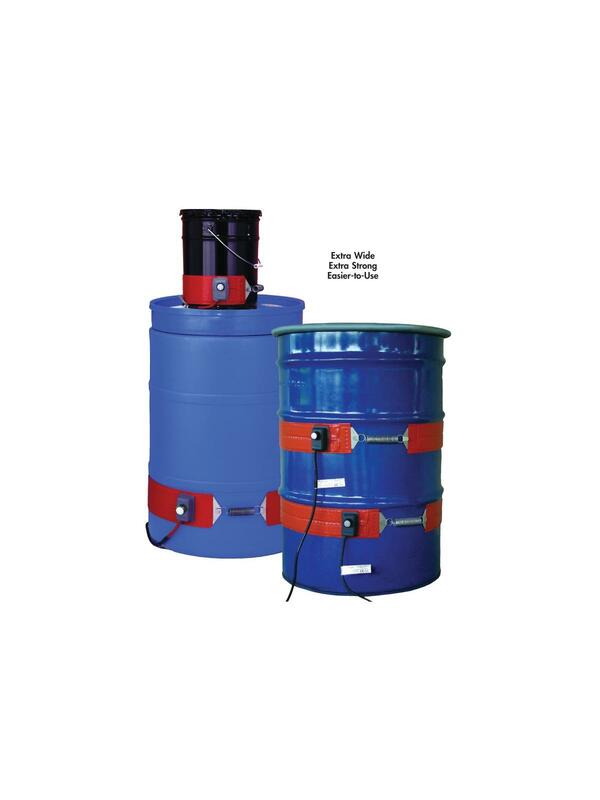 240VAC and poly-drum models available. Call for information.